We all know and love ALDI for their wide range of high-quality foods at affordable prices; but their commitment to quality extends far beyond groceries. ALDI is working each day to create a better, more sustainable world, which includes never offering single-use plastic bags at the check-out. Taking it a step further, ALDI recently pledged to reduce plastics by making 100 percent of its private label packaging reusable, recyclable, or compostable by 2025! 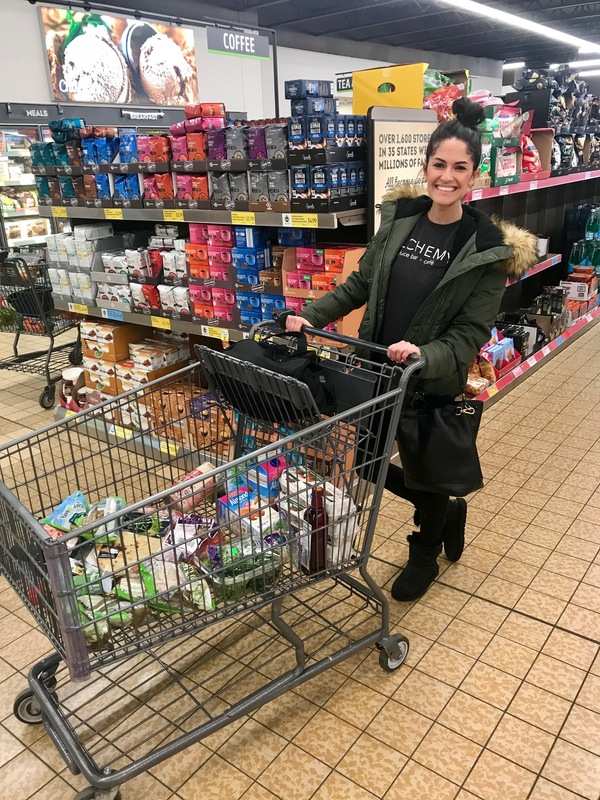 To tackle the problem of food waste, ALDI even joined the Environmental Protection Agency’s Food Recovery Challenge last year to mobilize the donation of leftover food to feed hungry people instead of landfills. The good news is that contributing to these efforts by reducing your own food waste at home isn’t as tough as it sounds. By following these simple tips, you’ll be well on your way to not only less waste, but also a lower carbon footprint, fresher food and less money spent at the grocery store. It’s a win all around! Be sure to share the steps you’ve taken to reduce food waste on Instagram and tag @aldiusa. 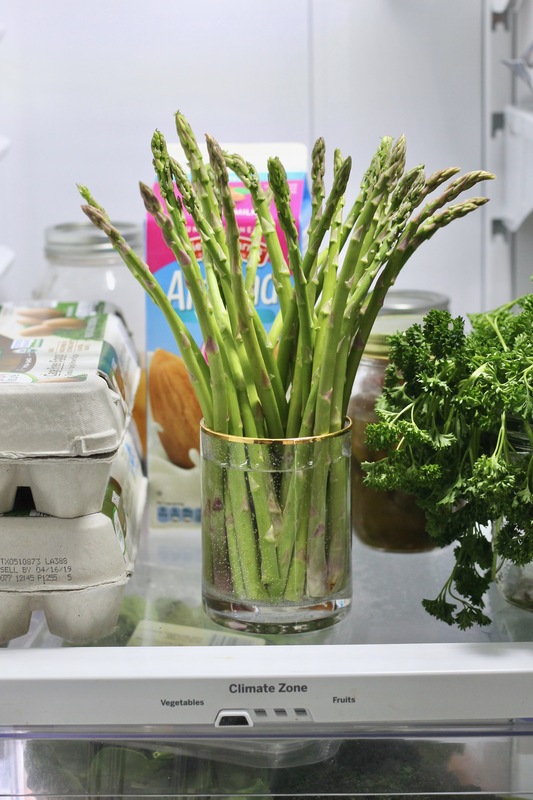 Tip #1: Extend the life of fresh herbs (and asparagus!). Love adding a flavor boost but hate tossing limp cilantro or parsley? The solution is simple. Snip the ends off of unwashed herbs, place them in a glass of filtered water (stem side down), cover loosely with a plastic bag and store in the refrigerator. Just change the water every few days as needed. This trick works well with trimmed asparagus, too. Off note, basil does best left out on the counter. 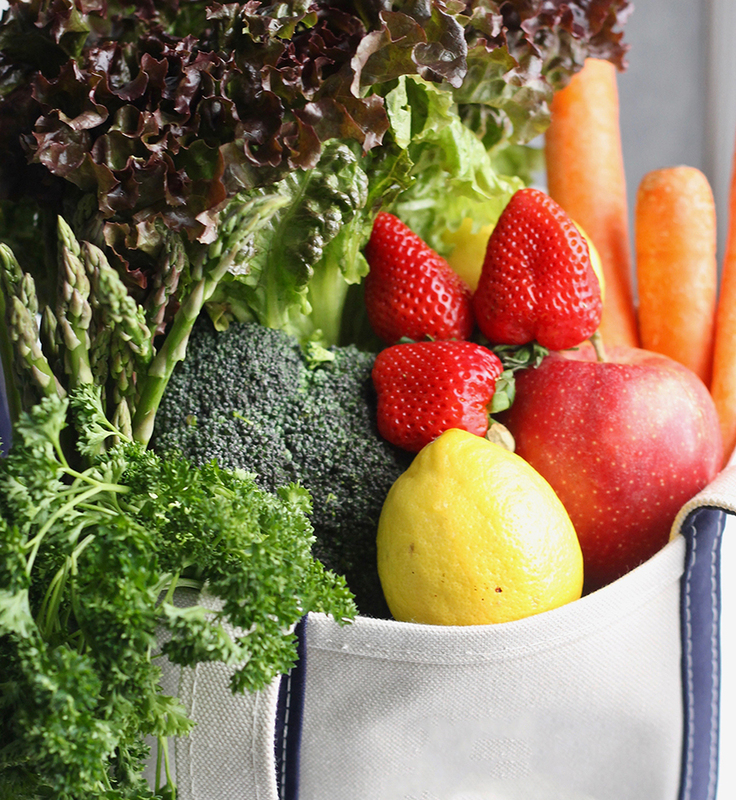 Tip #2: Store and wash fruits and veggies properly. Getting ahead of spoiled produce is a huge step in reducing food waste. Maximizing freshness means you’ll have longer to use the produce and it’ll taste better, too. Since fruit emits ethylene gas as it ripens, you don’t want it mingling with vegetables in the same drawer. Storing them separately will help them both last longer. On the contrary, keeping an apple in your potato bag conveniently prevents sprouting. When it comes to washing, save it till right before you eat it as the added moisture speeds up bacteria growth. The exception here is berries, which can be washed in a bath of three-parts water and one-part vinegar, and then dried thoroughly to prevent spoilage. When it comes to citrus like fresh lemons and limes, keep them in a baggie in the refrigerator versus on the counter to lock in moisture. Mushrooms do best in a brown paper bag in the fridge. Tip #3: Shop the frozen section. It’s no surprise that frozen foods last far longer than fresh foods. Many of the fresh food options available at ALDI conveniently come in sustainable frozen varieties as well. If you tend to always have a certain food leftover at the end of every week, consider buying frozen instead. In order to limit plastic waste, be mindful of purchasing too many individually-wrapped frozen items and always check the packaging to see what can be recycled. For example, you may opt for frozen Simply Nature Organic Blueberries if you notice you have fresh berries spoiling or frozen Season’s Choice 3-Pepper & Onion Blend rather than fresh for a stir fry meal. Tip #4: Plan your meals ahead of time. Believe it or not, one of the simplest ways to cut down on waste is to have a game plan for meals each week. Plan out your meals after assessing what’s currently usable in the fridge and stick to your organized list, especially for perishable foods. Be wary of buying items in bulk that you won’t actually eat in time. A large package of greens that’s more affordable won’t actually save you money if you end up throwing half away! Tip #5: Make a “kitchen-sink” (or refrigerator drawer) stir fry. At the end of the week, use up all the leftover vegetables that are about to turn from your last ALDI grocery trip into a tasty and nutritious stir fry. Think wilting greens, broccoli, carrots and bell peppers. Sautee them in olive oil until softened and then make a simple sauce by whisking together soy sauce, peanut butter, lime juice and honey. Add your favorite protein (frozen edamame is always easy) and Simply Nature Organic Quick Cook Brown Rice and you’re golden! I love this and have learned a number of new tricks in storing my foods! Thank you, Alexis! Salad greens! I have a container that’s really good for most produce, bought at Aldi of course. Along with the salad greens. But my salad greens make it 2 days – if I’m lucky. No family to feed, just me and I love salads. Just gets expensive getting one serving and next day wilted, with slimy bits inedible. Help?